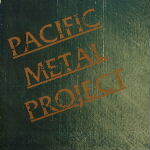 CD review: "Pacific Metal Project"
Who'd have thought it would last this long? When the second generation of heavy metal bands started hitting the scene in the early 1980s, few thought the scene itself would stick. Halfway through the decade, here comes another wave of young metal bands. "Pacific Metal Project" is a compilation of 10 metal bands from the Pacific Northwest. As with many such projects of a survey nature, the quality varies drastically from track to track. The best are as good as the best national acts, and the worst  well, your loyal correspondent spent a summer in college playing bass in a garage band that could have given some of these bands a run for their money. Look Out, hailing from Kenmore, Wash., had the best cut on the album in "Burning Steel." There's a driving rhythm provided by drummer Stephen Hawn and bassist Joe Lartz, while his brother Robert pulls licks out of his guitar that remind one of Michael Schenker or Matthias Jabs. Lead singer Jammer has a style similar to that of Klaus Meine or Gary Barden. All of this combines for a sound very similar to the Scorpions or UFO  melodic with strong vocals and pyrotechnic guitar solos. Heir Apparent also displayed musical skill that could earn them a national following. "Tear Down the Wall" featured an outstanding acoustic guitar intro, and lead singer Paul Davidson has a voice much like that of Stryper's front man Michael Sweet. There is a photo insert included with the album, and Ransom looked like the most godawful bunch of metal head wannabees you could imagine. But you listen to their song, "Throw the Stone," and you realize their musicianship is undimmed by the atrocity of their costume designer and hairstylists. Drummer Mark Gardner plays with all the assurance and power of Cozy Powell, guitarists Scott Casey and Joe Allport know how to back lead singer Mike Reicher before taking lead on their solos, and the song was surprisingly melodic. Given that "Pacific Metal Project" is budget-priced and contains a handful of good songs, it's worth picking up to see how the metal scene is progressing in Oregon and Washington.